aassio, the ultimate assistance to access for real estate, is designed in Germany for global application and is the start of an ultramodern way of investing and living. aassioX is the seed that will blossom into the full expression of the aassio ecosystem. The aassioX exchange will differentiate itself from all other exchanges in the marketplace as it will be the first and only to focus on real estate tokenization and will open doors for a brand new class of asset tokens to emerge! By focusing attention on real estate tokens, aassioX enables investors new to the world of crypto assets who previously invested in real estate to have a new vehicle for making their investments liquid and transferable. 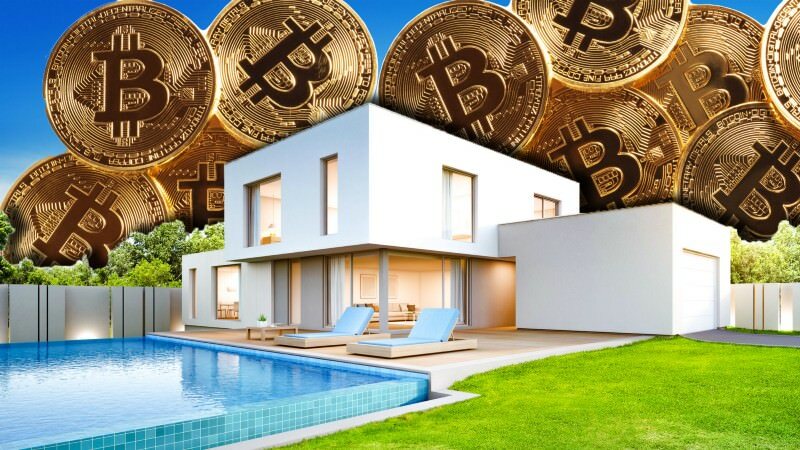 Focusing on real estate also allows for current cryptocurrency enthusiasts to diversify their crypto holdings into the new real estate tokens as soon as they become available on the market making aassioX the top choice for those desiring their cryptocurrencies to be backed by real-world assets. The aassioX platform will be fueled by the AAS token which can be used as a utility token to pay the transaction fees on aassioX. Later this token will have other functions such as paying rent and bills for commercial and residential properties within aassioHOME and aassioLIFE as the seed begins to grow and flourish within the ecosystem. The goal of aassioX is to be an open platform for the worldwide trade of tokenized real estate. Investors will be able to make choices about where their real estate dollars go in the case of localized or regional tokens being opened into the market. Say for instance you are interested primarily in California real estate, aassioX would have a token listed that specifically invests in that market. Some real estate tokens listed on aassioX will be fungible and will be listed as buying a stake of particular pieces of property, for example owning a piece of the Empire State Building. Others will be non-fungible, and will offer ownership of a share of a group of properties as a pool not a unique share of only one. Non fungible AAS tokens in the aassioX exchange are the model for sprouting into aassioHOME. The non-fungible AAS token will be able to hedge against any fungible tokens to balance any market fluctuations. For example, if there is a real estate dip in one part of the world, the AAS token will balance it with the rise in other global markets. The aassioX exchange and provide greater safety, security, and liquidity than other tokens in the market. The aassioX wallet will be a centralized wallet similar to a bank account based on your aassio account. Tokens will be transferable to the Ethereum network wallet of your choice or to offline cold storage. This system allows users the greatest flexibility and freedom in how to store their crypto assets. aassioX will ensure that all tokens meet the highest quality standards to ensure that only the best offerings are available on aassio. Each token will have an attached information page with as many specific details as the company will provide as well as links to the tokens website and other pertinent information so that each investor can do their due diligence on the tokens they wish to purchase. If you or someone you know is interested in real estate tokenization, follow us any one of our social media channels listed below for the latest updates and information. Early investors will get great discounts and these channels are where you will hear about airdrops and other wonderful rewards that will be provided for those eager to get their hands on the first AAS tokens. We invite you to join us and get a piece of the lucrative real estate pie for yourself! Later this token will have other functions such as paying rent and bills for commercial and residential properties within aassioHOME and aassioLIFE as the seed begins to grow and flourish within the ecosystem. Spotcoin’s exchange will differ from other crypto exchanges. RAISEX ⭐⭐⭐ The Crypto Exchange ⭐⭐⭐ 10k Satoshi BTC available for FREE on Signup!